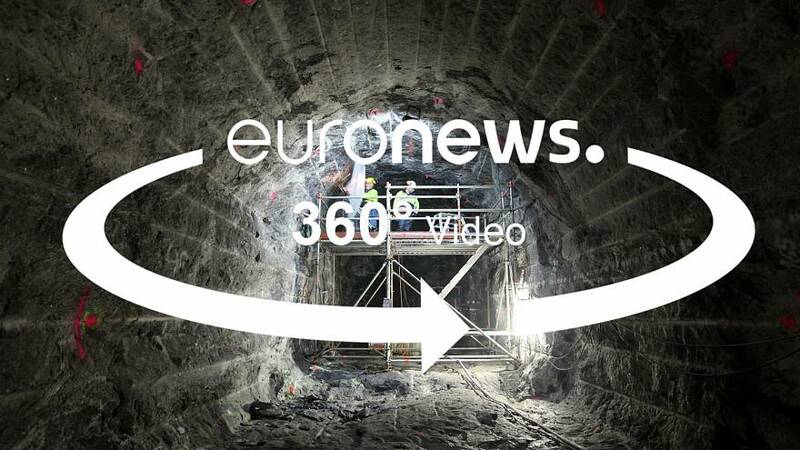 Euronews plunges 450 meters deep down inside Finnish bedrock. Spent nuclear fuel is going to be stored for the next 100,000 years. The Onkalo tunnel will be Finland’s final resting place for spent nuclear fuel. It has been excavated next to the Olkiluoto nuclear power plan, but deep inside the Finnish bedrock. 450 underground, the spent nuclear fuel is placed inside copper canisters and buried with bentonite clay and concrete. Finland is relying on the bedrock - which has been stable for billions of year - to protect the fuel from future man-made and natural catastrophes. But where does the nuclear waste come from? We visited the reactor room in one of the most powerful nuclear reactors in the world being built in Finland. Olkiluoto 3 will be amongst the first EPR reactors with 1,600 MW electrical output power. It is also one of the most powerful nuclear reactors in the world. In this interactive 360-degree experience you will see the reactor room before the nuclear fuel is loaded. What will a nuclear waste warning look like in 100,000 years' time?